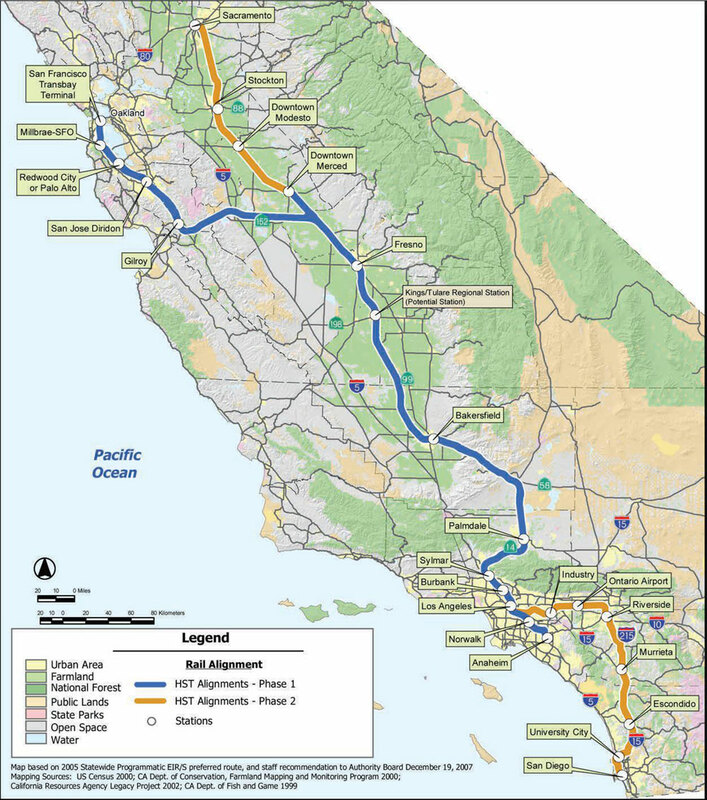 The California High-Speed Rail Project, Merced to Fresno Section, proposes to build and operate an 80-mile portion of a larger high-speed train system which is intended to connect to sections traveling west to San Francisco, south to Los Angeles, and later north to Sacramento. HMMH supported the completion of the Final Environmental Impact Report/Environmental Impact Statement (EIR/EIS) as the noise and vibration specialist on the project team. Noise and vibration are among the key environmental issues associated with high-speed trains. HMMH’s support included noise measurements, analysis, assessment, mitigation recommendations, reporting and project sponsor outreach.